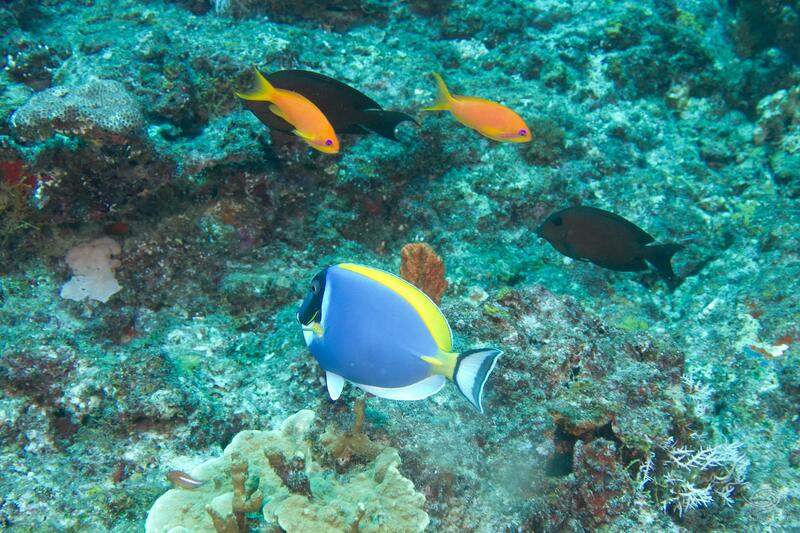 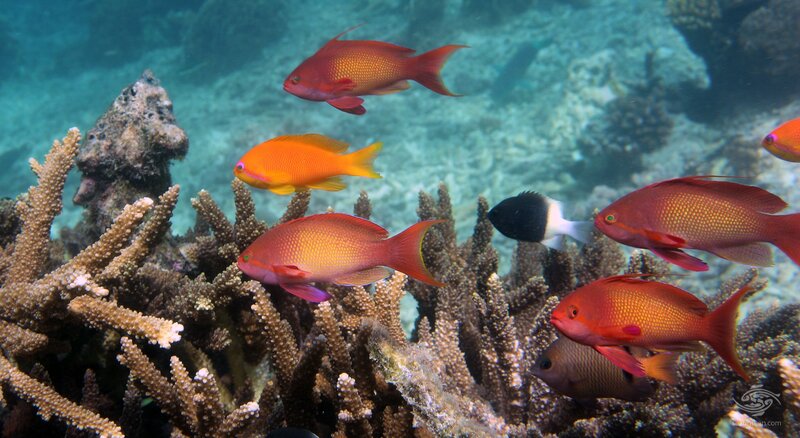 The Indian Ocean is blessed with an array of fascinating tropical fish, in countless shapes, colors and sizes. 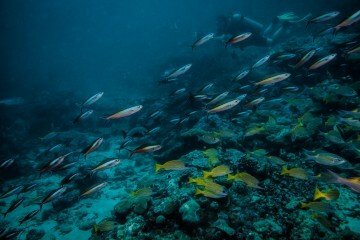 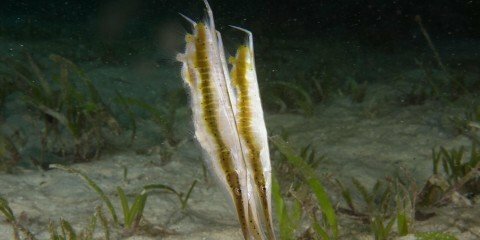 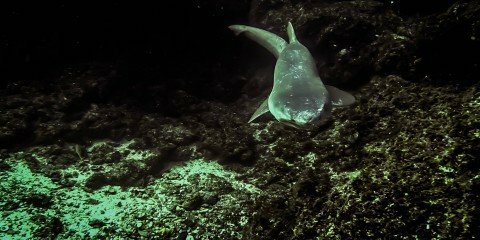 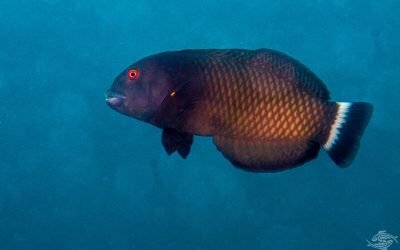 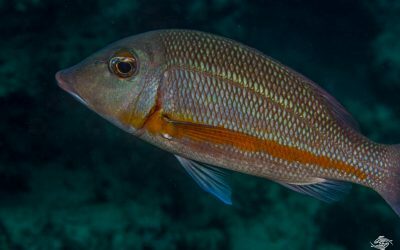 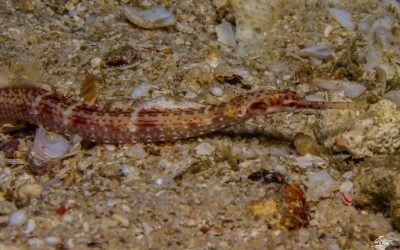 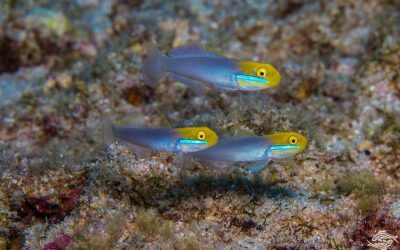 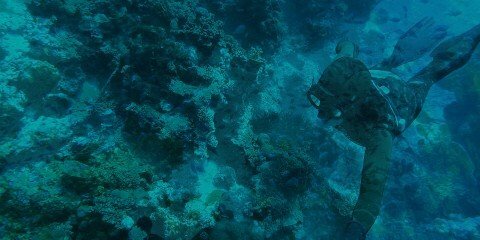 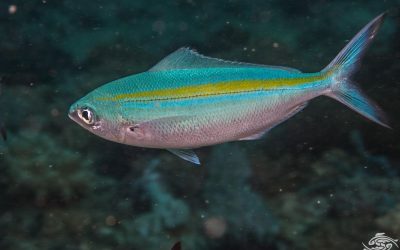 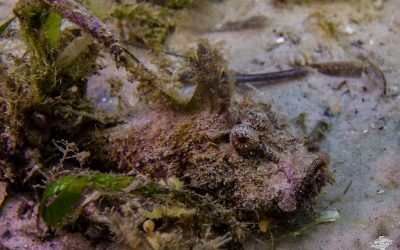 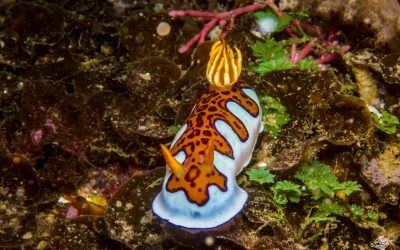 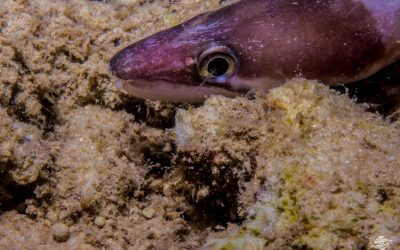 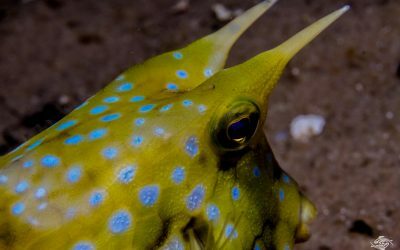 Some so mesmerizing and unique that they stand out among their peers, which is why we decided to create a list of some of the most appealing fish we came across while travelling and diving throughout East Africa. 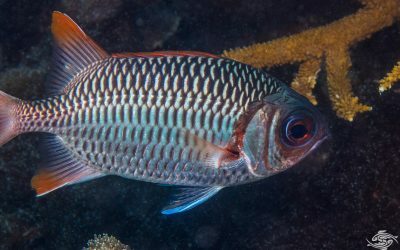 Here is our list of the top 11 most beautiful fish in East African waters, in no particular order, since beauty is, of course in the eye of the beholder. 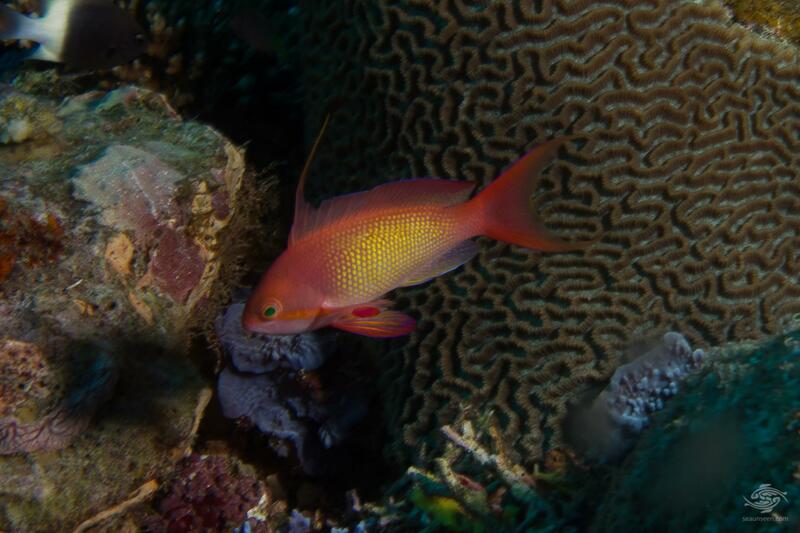 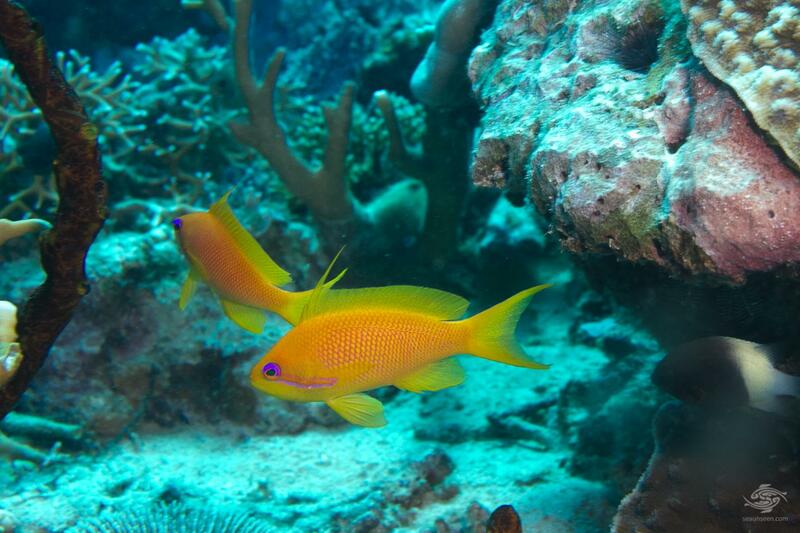 The sea goldie (Pseudanthias squamipinnis) is a stunning fish, perhaps even more so when they school. 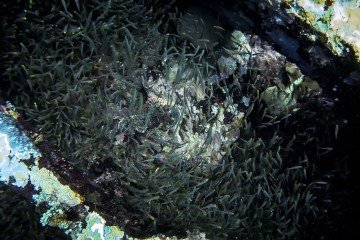 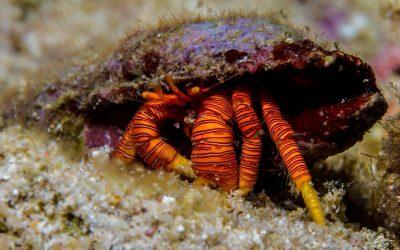 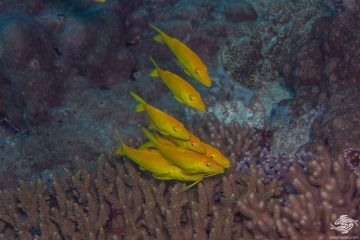 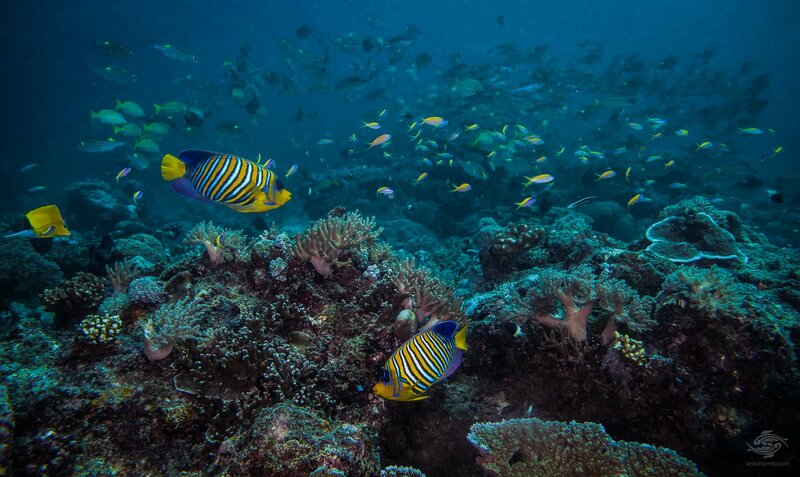 A shoal of sea goldies moving over the reef is surely one of the most stunning sights one can see, particularly on a shallow reef where the light is good and their full color range comprising of violet-reds, oranges and yellows can be seen. 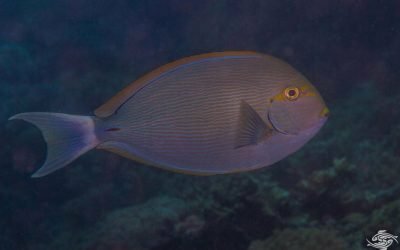 The powder blue surgeon (Acanthurus leucosternon) also qualifies as one of our prettiest fish by virtue of its simple yet striking coloration. 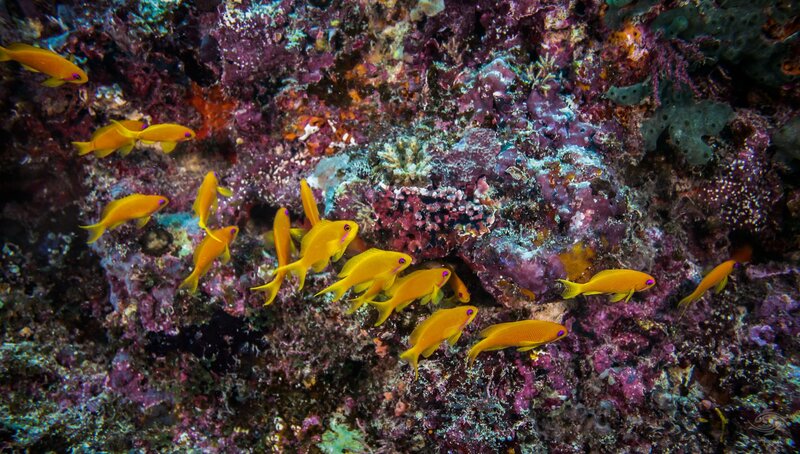 Each fish on its own looks as though an artist has painted it with great care, careful not to mix the colors. 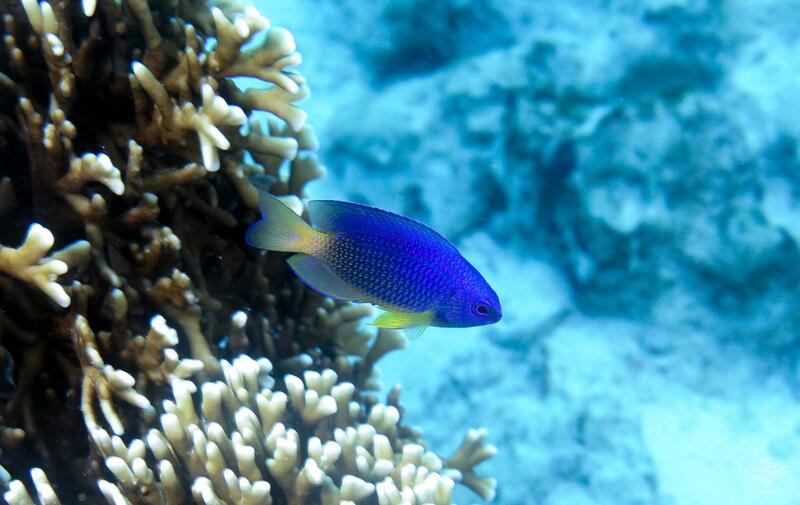 A shoal of these fish slowly picking their way across the top of a shallow reef is a sight not to be forgotten. 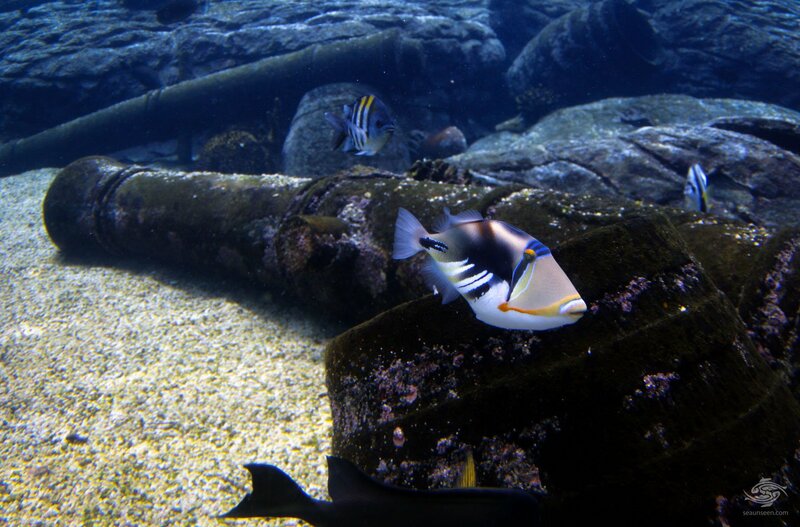 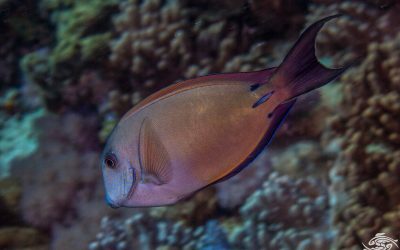 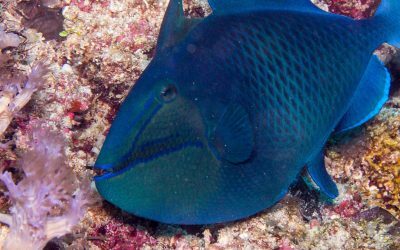 Note that, as with other surgeonfish, a blade present on both sides of the caudal fin, which is capable of causing deep wounds, so be careful when handling this beauty! 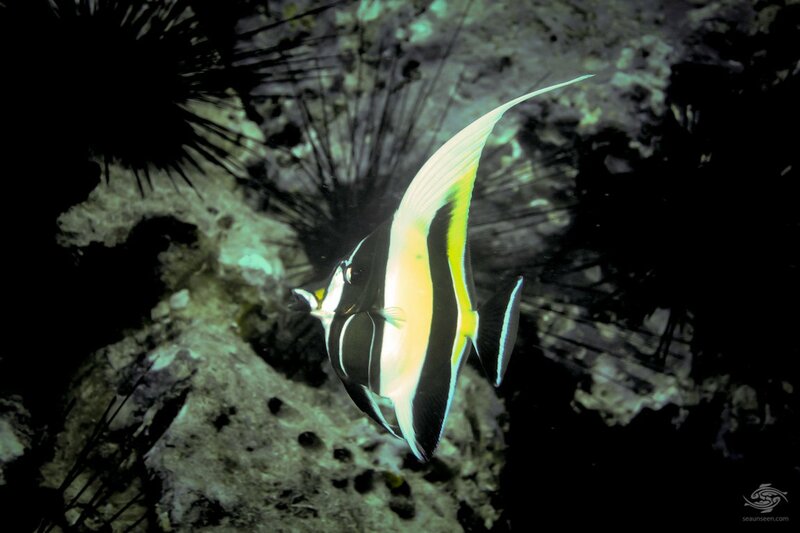 The moorish idol (Zanclus cornutus) is both stunning in its shape and in its coloration and also in the manner in which they swim, often twisting sideways with its long dorsal fin trailing behind it. 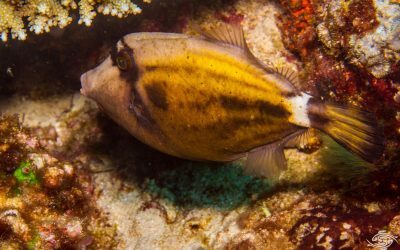 Its highly unusual disk-like shape along with the stunning combination of yellow, black and white sections make it unusual and unmistakable as one of the most beautiful fish on earth. 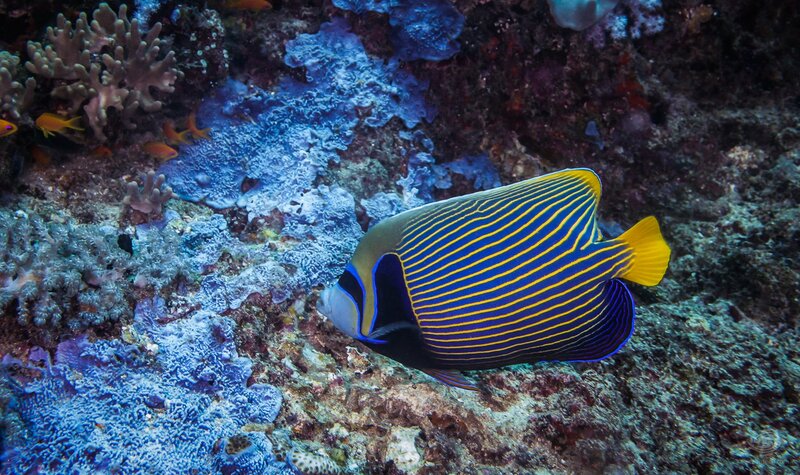 The emperor angelfish (Pomacanthus Imperator) speaks for itself in terms of looks, whether as a juvenile or an adult this fish stands out in terms of beauty. 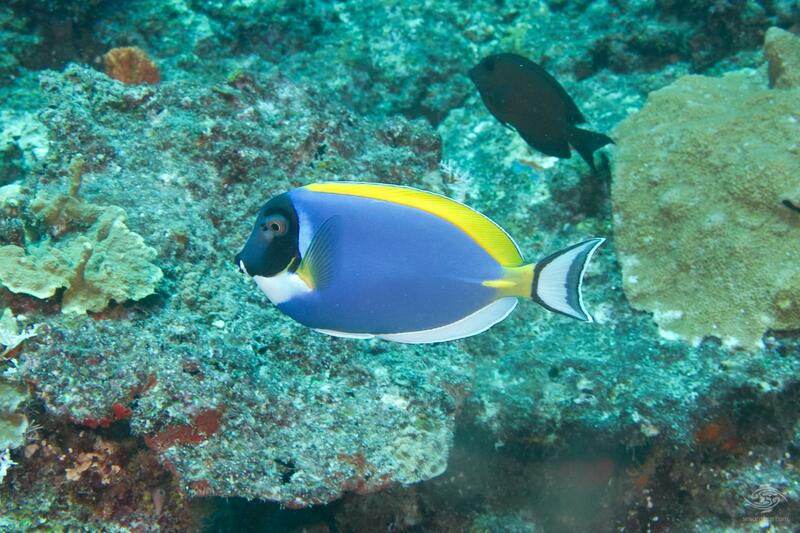 The young emperor angelfish have a color palette consisting of dark royal blue, white and electric blue. 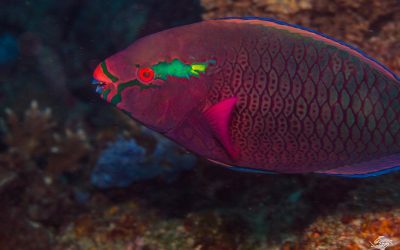 The colors are neatly arranged in a fingerprint-like pattern that remains for four years until the fish reaches maturity. 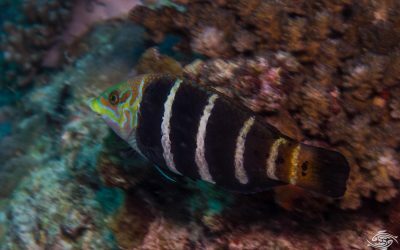 Afterward, the adult develops black shades around the eyes and a series of fluorescent blue and yellow stripes along the body. 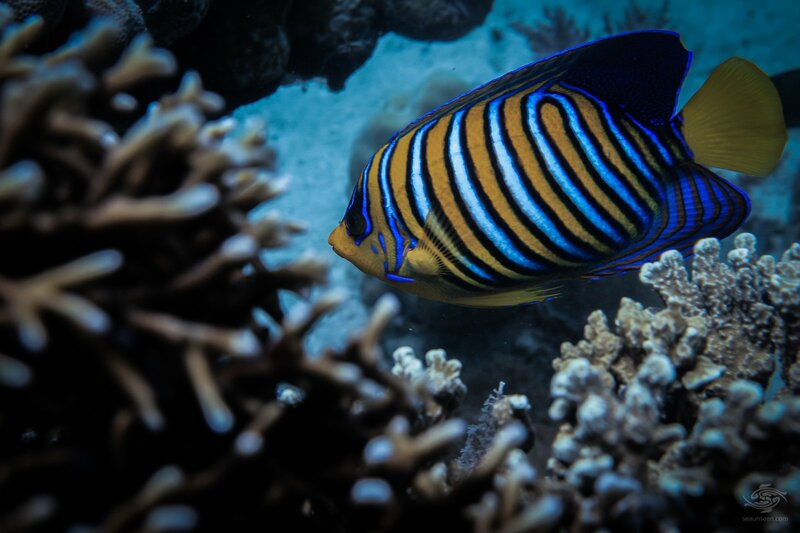 The regal angelfish (Pygoplites diacanthus) earns its name with its looks, the orange white and blue coloring makes it stand out anywhere and it adds a burst of color to the reef as it works its way across it selectively picking out snacks. 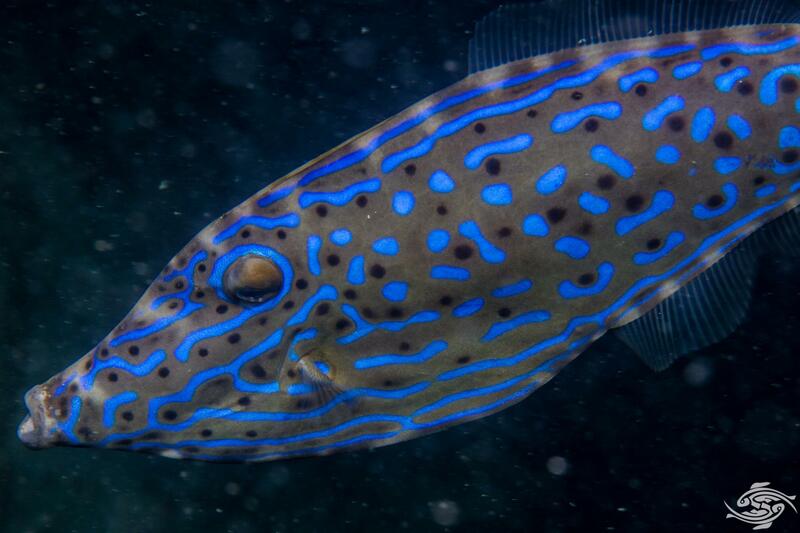 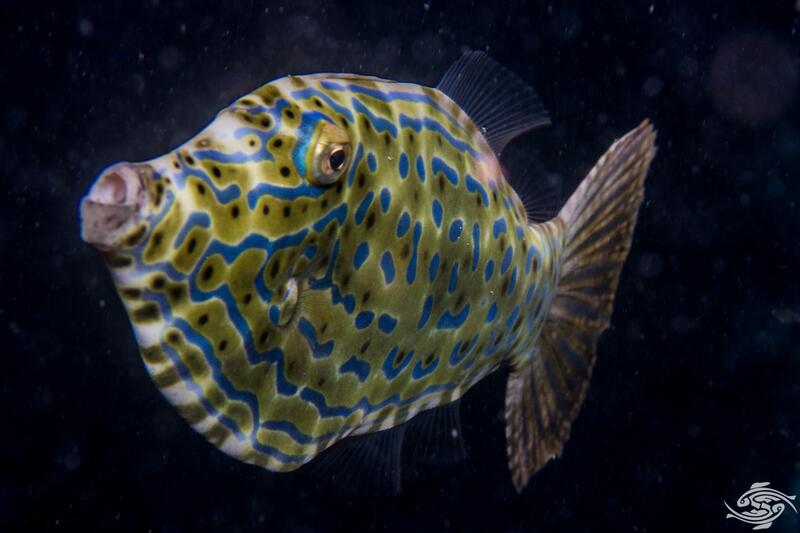 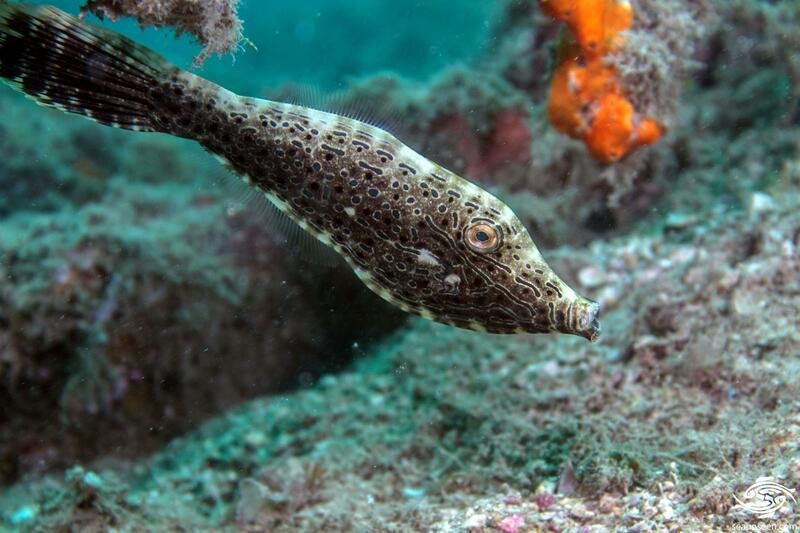 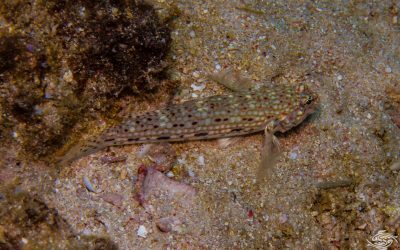 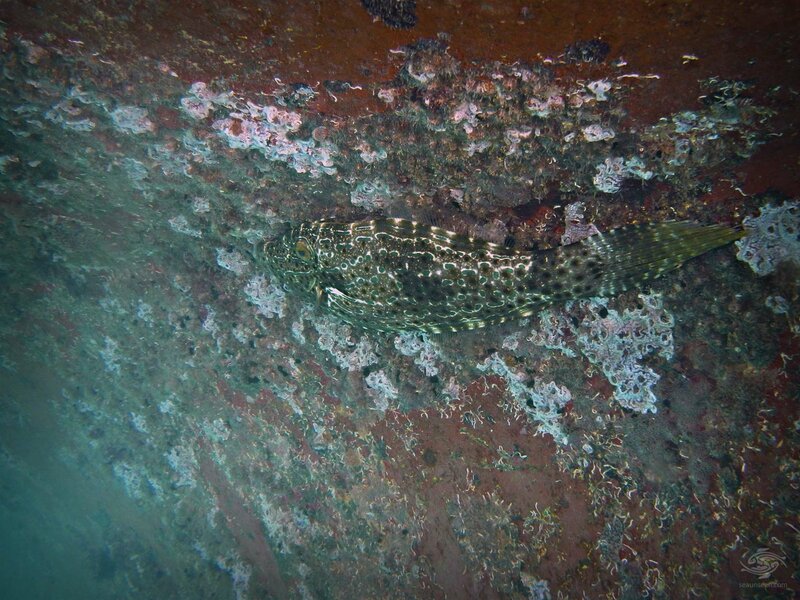 Scrawled filefish (Aluterus scriptus) are beautifully patterned with intricate blue or green lines and irregular spots of black and various colors throughout their compressed oval-shaped bodies. 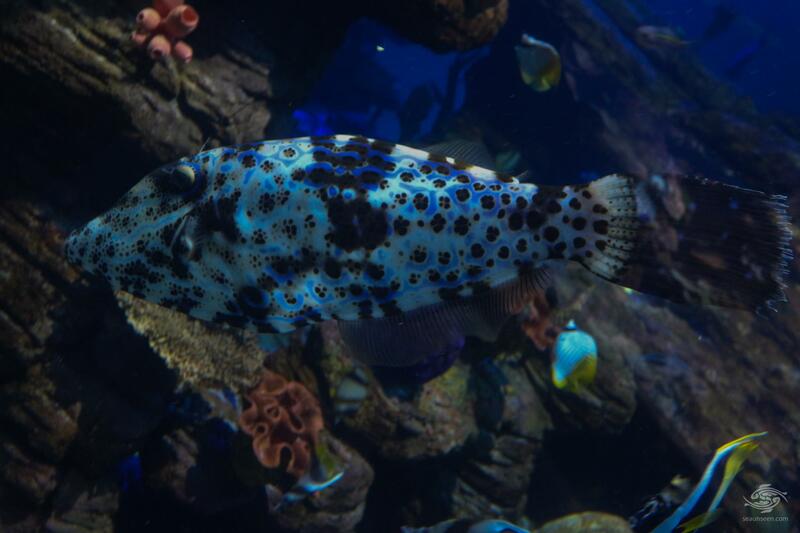 This spectacularly designed fish blends in perfectly with its surrounding environments, changing to different patterns and colorways as necessary. 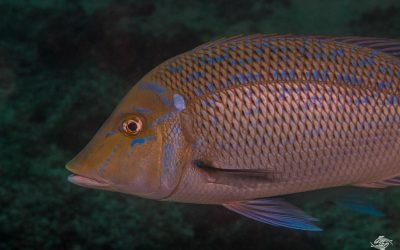 several color variations may be seen below. 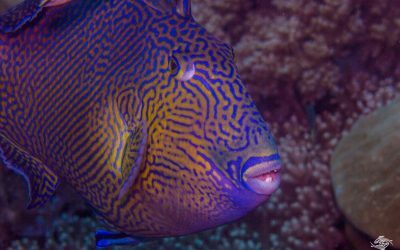 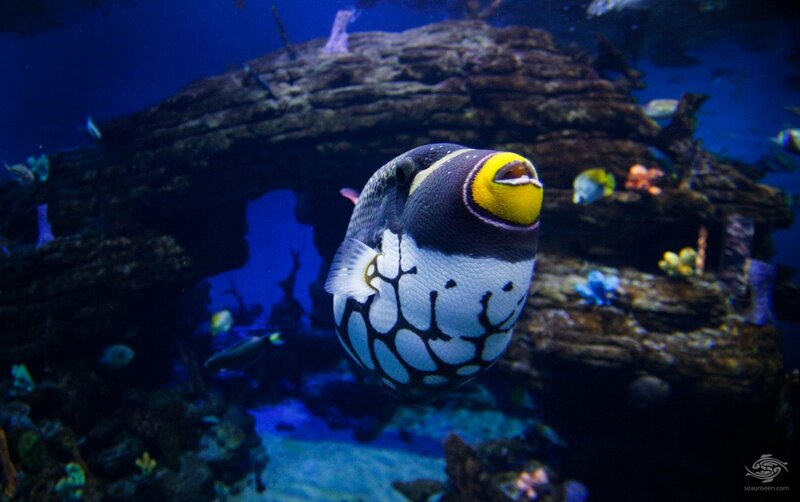 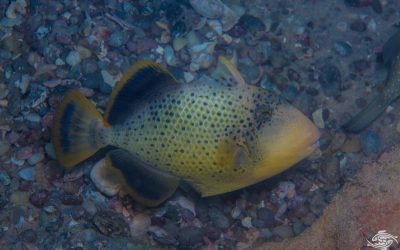 The clown triggerfish (Balistoides conpicillum) is one of the most spectacular looking marine species with impossible-patterned markings of white, black and yellow round spots and bizarre designs that illustrate just how creative nature can be. 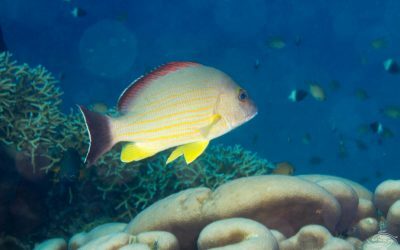 The yellow ‘cigar’ lips give it the name ‘clown’. 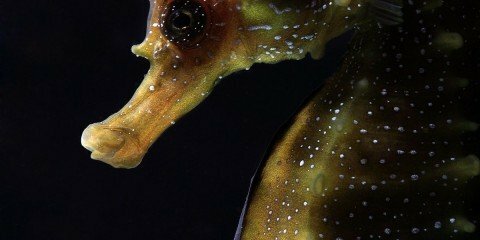 One wonders what quirk of evolution created this truly stunning abstract beauty. 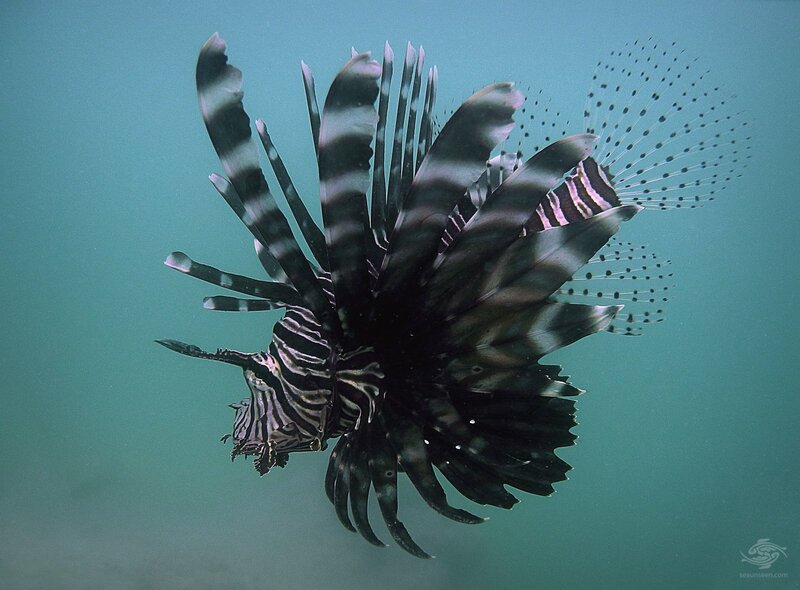 The lionfish (Pterois), as beautiful as it is dangerous. 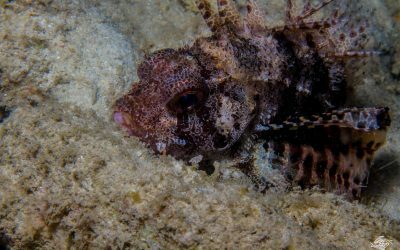 Definitely one of the most photogenic fish you are likely to come across while scuba diving in the Indian Ocean, the lionfish is often lurking in quiet areas of a reef or wreck. 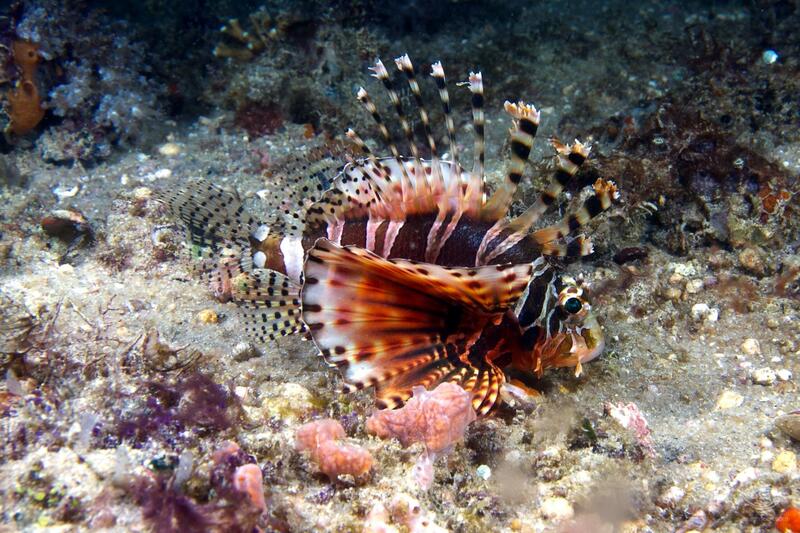 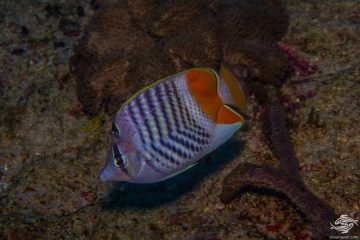 Its very distinctive striped body with a series of spines and fins open up in a magnificent display of flamboyance. 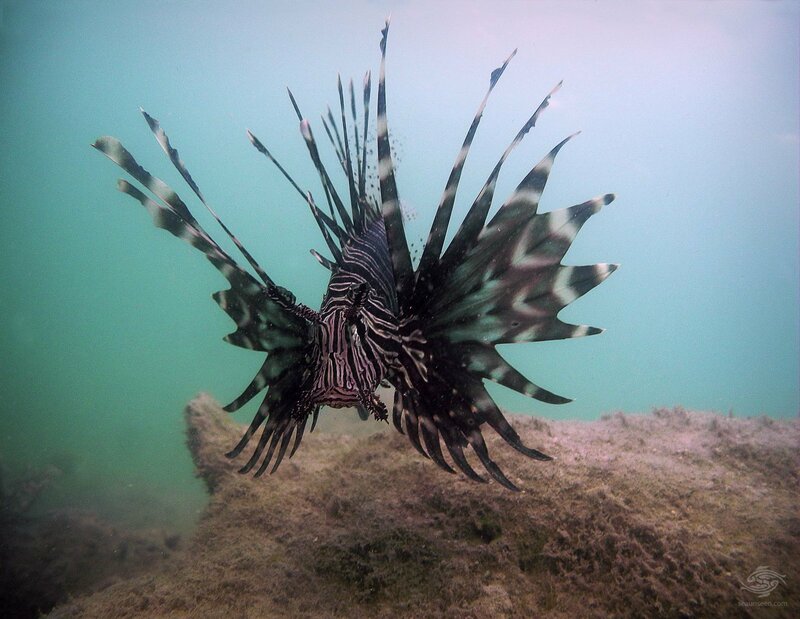 Stunning yet poisonous, the lionfish is confident in its own abilities and is often one of the first species that novice divers come to recognize. 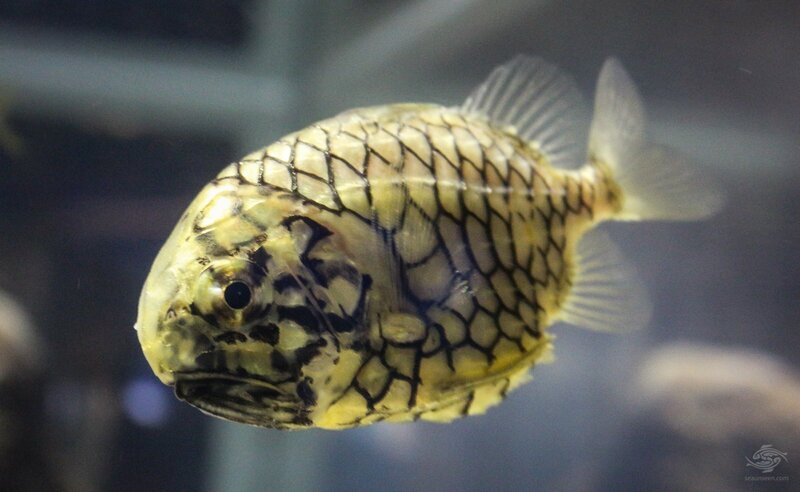 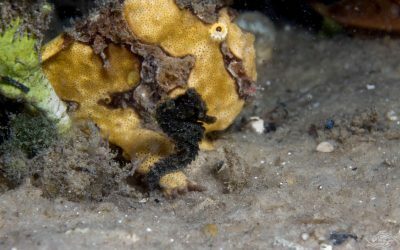 The pineapplefish (Cleidopus gloriamaris) has a remarkable resemblance to the pineapple fruit with a yellow colored body and conspicuous black outlined scales forming a network pattern. 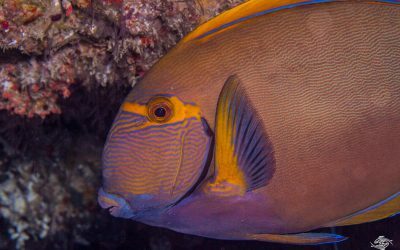 The scales are very strong and like an armor which helps to protect the fish from predators like large reef sharks and octopuses. 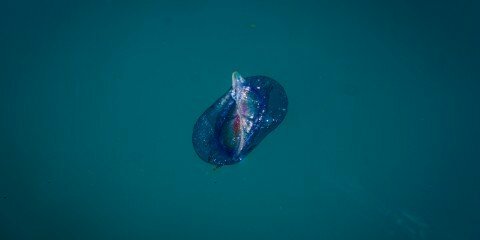 It also has the ability to glow at night, as there is a small organ found on either side of its lower jaw that produces a greenish like glow. 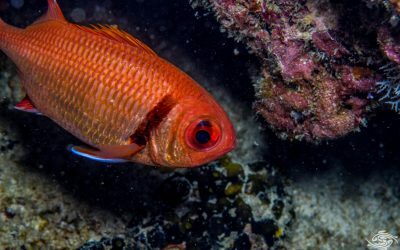 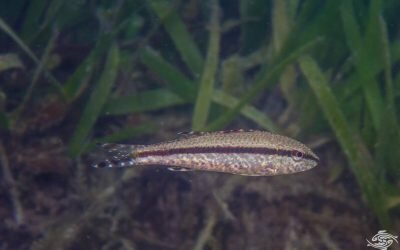 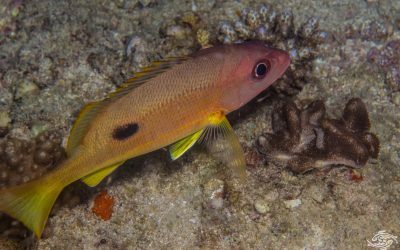 The fish will use the light to attract tiny microscopic prey to feed on. 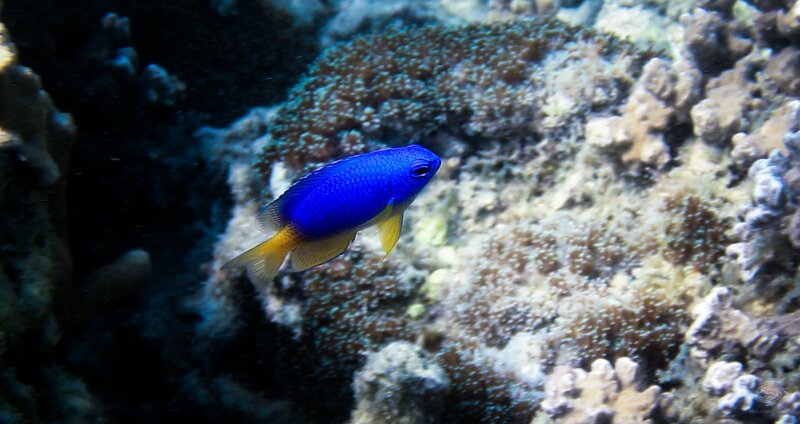 The electric blue and yellow caerulean damselfish (Pomacentrus caeruleus) may be small, but it has a unique beauty in that it darkens itself to hide in holes and when emerges lights itself up with a glowing electric blue color, a sight one will never forget. 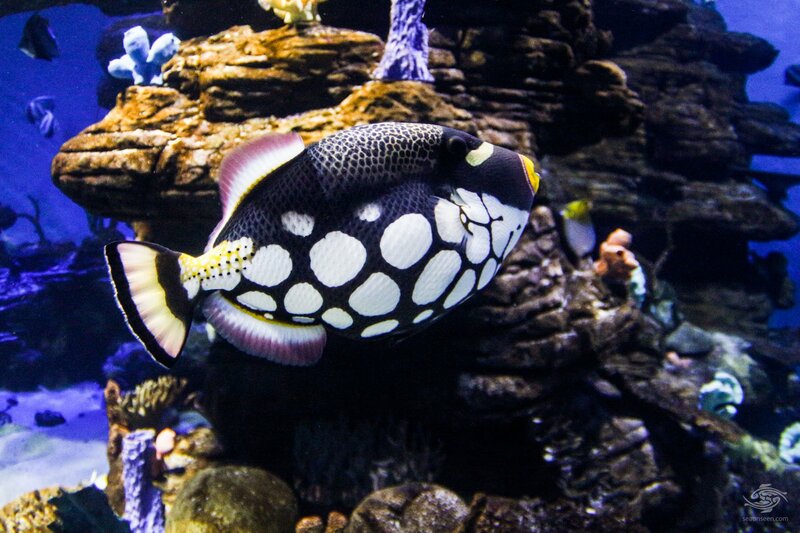 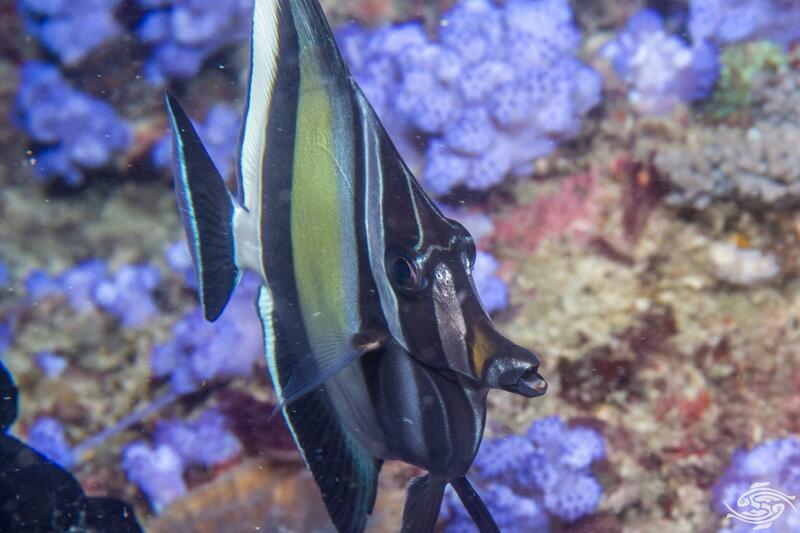 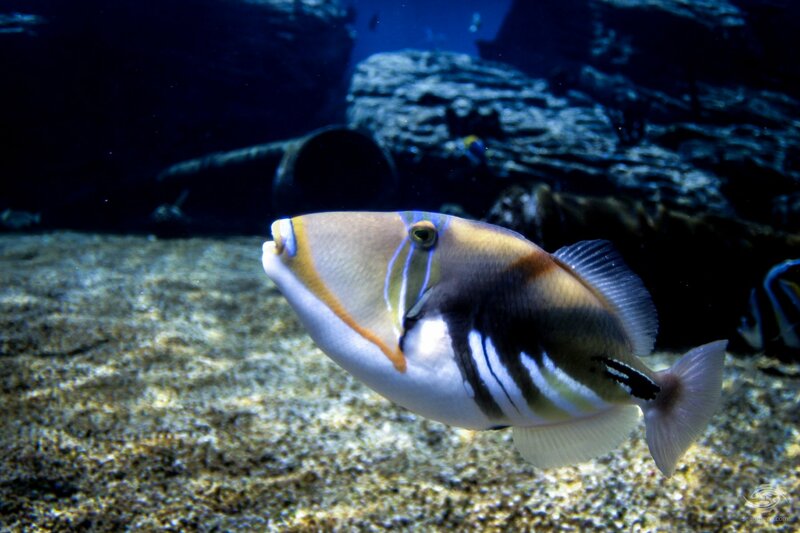 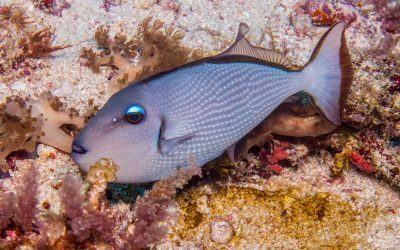 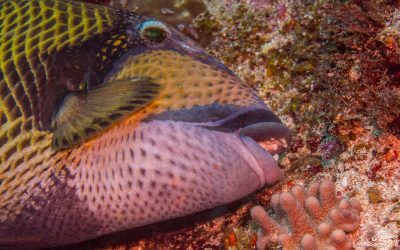 The picasso triggerfish (Rhinecanthus aculeatus) was named after the inspirational cubist painter, Pablo Picasso, due to its beautiful, colorful appearance and strikingly patterned body. 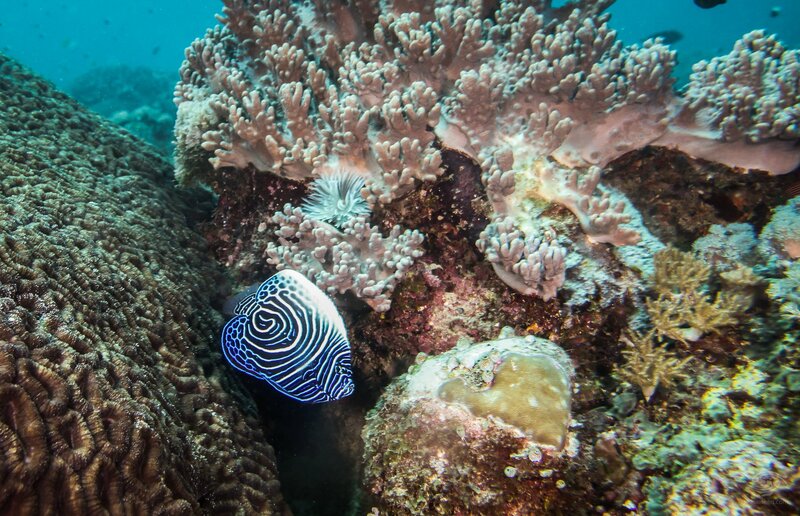 It’s difficult to describe this in words, so we recommend taking a look at the photos instead.